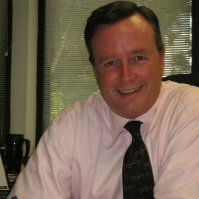 David Condon is a seasoned nonprofit leader. He’s run statewide organizations, served on numerous boards, and consulted for a variety of public and private clients at the local, state, and international levels. David has held senior positions in the federal government and spent several years in private law practice. David enjoys mediating civil cases and is committed to expanding the impact of MMC. Service and results are the hallmarks of David’s career. As a pragmatist, he often asks his favorite question – “so what?” – when weighing the investment of time and resources against the value of an outcome. David is motivated to combine service to others with his work focusing on risk management, strategic planning, communications, and leadership development. David has an undergraduate degree from Sewanee (The University of the South), a masters degree from the London School of Economics, and a law degree from the University of South Carolina. He lives in Columbia with his family and their unpredictably energetic Labrador retriever and Cavalier King Charles spaniel.